I’m gubbed. Just under 2 weeks since the marathon and the last 2 weeks has been tough. Race day had been an emotional day for me, and straight away I was sore, really sore after it. 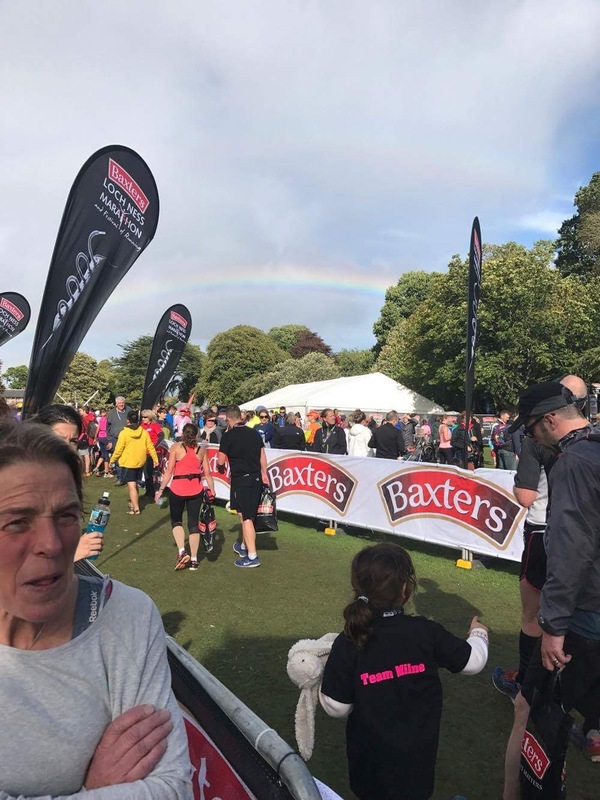 I ran the course, and saw around 3-4 rainbows, the first being the one to our left at the start line, for around 10 minutes, until I ran so fast away from it and it disappeared behind a hill. At 8 miles in, a bit of light drizzle and another rainbow, one at mile 10, one at the end (which I didn’t see, but got sent a picture of), and a big double rainbow the whole time we were eating our dinner. At 16 miles in I got a little emotional (maybe at the thought of the 2 mile uphill at Dores?!!) but I managed to hold my tears in because I didn’t want to be a mess when I was running. 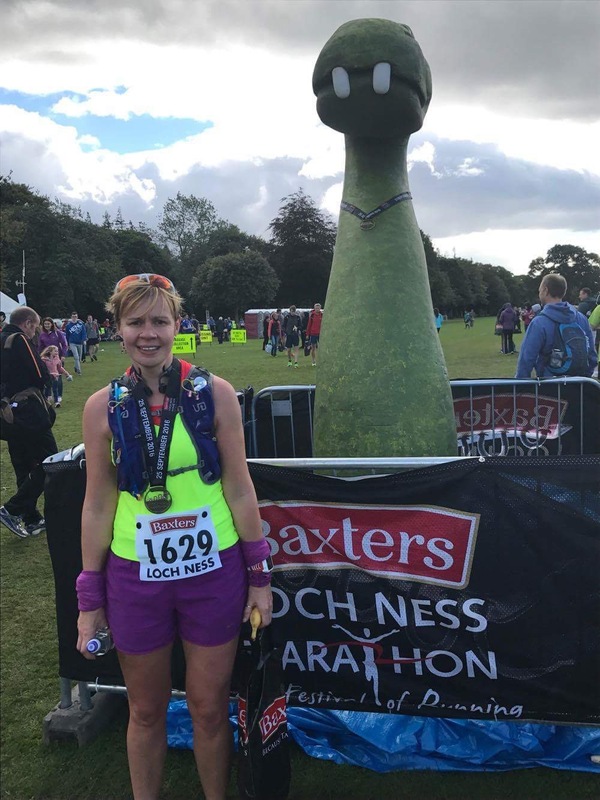 It was a really special day for me running the Loch Ness Marathon this year. 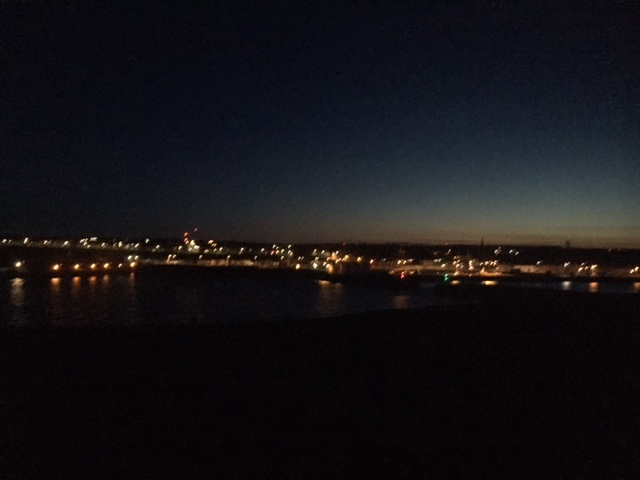 The last year has been tough, and I felt that for this round of training for the marathon, I didn’t feel as into it as I had been in the past. I was getting to 2 hours running on long runs and I’d need a break, was finding it hard to tell myself why I was doing it. Done in. My body could do it, I just felt that my head wasn’t in it. 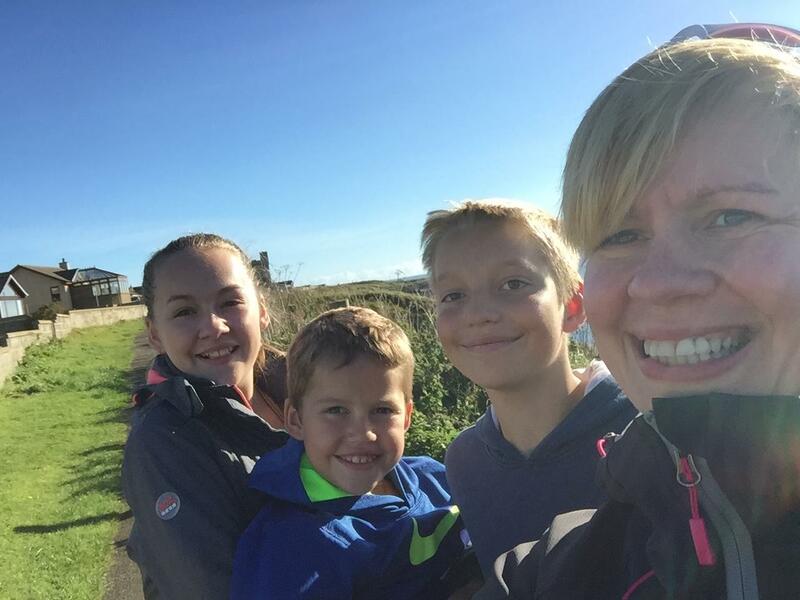 3 marathons in a year – Loch Ness in October 2015, London in April 2916, Loch Ness in October 2016. I think it was too much for me. And I’ll be taking a break from them in 2017. They’re hard! I crossed the line and saw my friend Jen, and got a big hug from her which I was grateful for. And straight away I crumbled into a crying mess. I was crying so hard I could hardly breathe. She hugged me tight, and looked after me for a bit before I went to wait for Fit Girl coming in. I walked a bit and stretched, and I realised that I was sore, really sore. 26.2 miles of working hard, avg HR 162. Even my tongue felt sore when I tried to talk, it must have been tensed up. 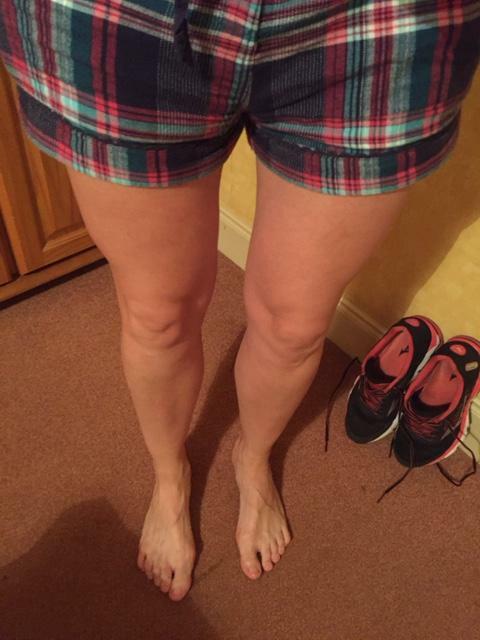 The day after I had the usual DOMS, sore feet and legs, and back. And I had a bit of a sure throat too. I tried to get as much sleep as possible to recover and I tried to eat well and take care of myself. I knew I’d have at least 1-3 weeks off training. The first few days after I felt like I’d been in a car accident, my body swelling up with water retention in an attempt to recover. People asked me how my marathon went and all I felt like doing was complaining about how bad I felt now, like a big horrible self inflicted hangover making me ill, sore and sad. Playing computer games, driving places, seeing the stars, throwing stones in the water, eating ice cream. It was ace fun. Then on the Monday the cold and streaming face came. 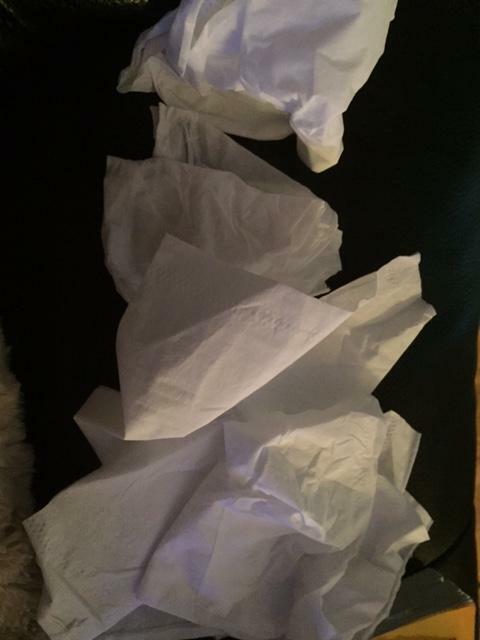 3-4 days of lemsips and tissues, and my feet were still sore. I was feeling like crap. Run down, body taken a battering, emotions all over the place. I knew that I wanted to get back into training – strength work to start off with, but I know I’m not ready, rest and recovery comes first. 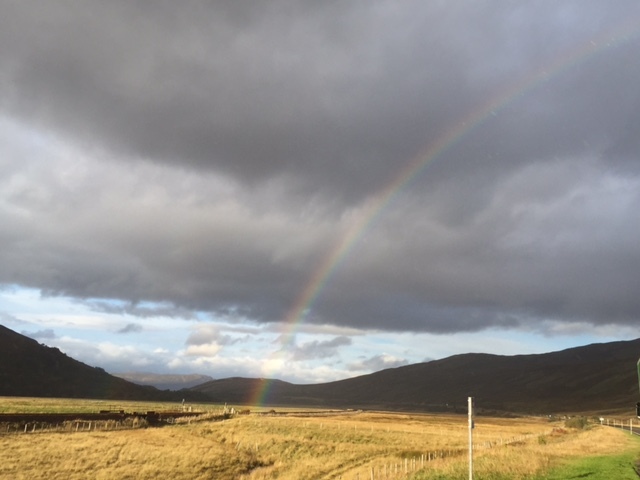 Self inflicted pain and illness, and the achievement of the marathon seems all like a big waste of time (even with the beautiful rainbows we saw). :-/. 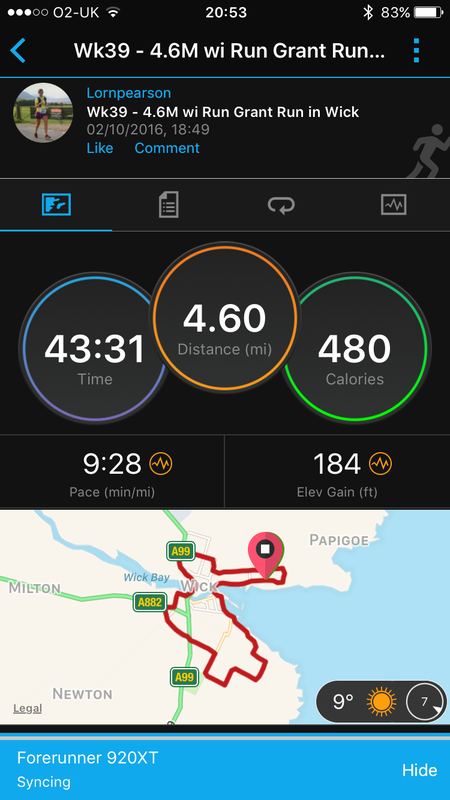 Post marathon blues – it’s a known thing, and I’ve probably had it to a degree before, after a marathon. You spend so much time and energy training for a marathon, then when it’s over and your body is a mess like mine is, you break down. So here’s my breakdown, feeling like crap, on Monday I cried, on Tuesday I felt so bad (sore and with the cold) I spent the day in bed (off sick) recovering. Wednesday night I cried, Thursday morning at work I cried. I tried to be grateful, and happy but it was hard. – look after myself, be nice to myself. – do things I enjoy. – walk places, take time out of structured training, only go back to it when I’m sure I’m ready. – make some plans for a break away / adventure at the end of October. Has this ever happened to you? How did you deal with it?